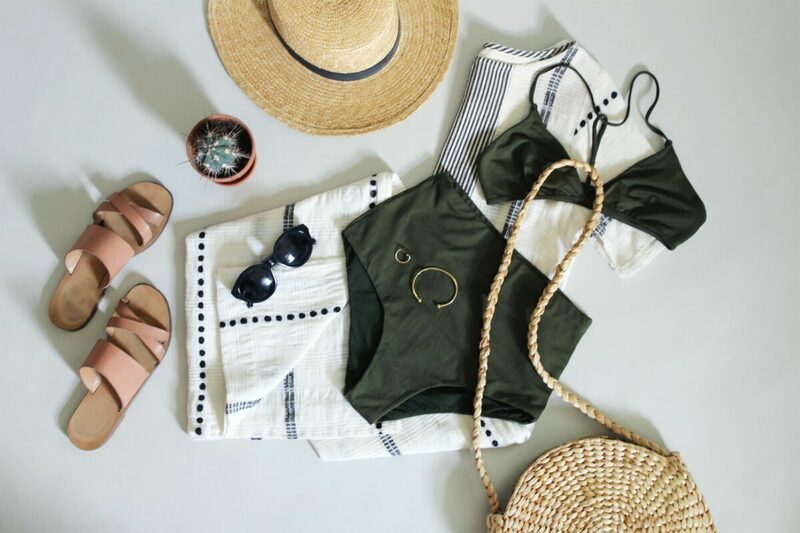 Heat waves have been taking no prisoners lately and with lots of summer still ahead I thought it would be a good time to share my thoughts and findings on some clean sun care and responsible swimwear. The good news is that there are LOTS of options, which can also make it over whelming, but no worries, I’ll get you pointed in the right direction! As you likely know, the derma-world has proclaimed that we need to be rocking SPF every day, without fail. I definitely don’t have a perfect record on this one but I’m trying to commit to wearing sunblock every day for the rest of the summer. To get myself on the right track I started by digging into the differences between mineral and synthetic sun screen, a hot topic at the moment. Then I looked into the best ‘clean’ sunscreen lines available in the US and Canada so I’ll be sharing those too. After that I’ve assembled some of my favourite swimwear brands to shop from with a range of different price points and coverage options. 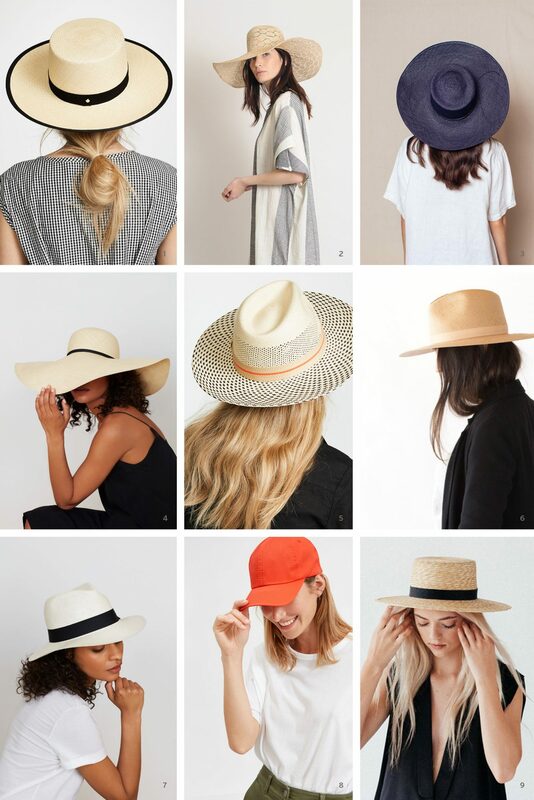 Then we’ll take a look at some gorgeous summer hats because there really is no better SPF backup than a wide brim! Finally, I’ve topped off today’s post with a few chic cover-ups and the coolest water bottles to stuff in your beach bag. So let’s dig in and maybe duck out early to enjoy some of the glory that is a summer Friday! There’s a lot of chatter about ‘mineral’ vs ‘synthetic’ sunscreens and the pros and cons of each so I did a little digging to see what the deal is. It looks like either format has some good options to choose from but as always, be sure to do your own research before slathering anything all over your body. See below for some basic facts on the two schools of sunscreen thought. The bottom line: Allllmost any SPF is better than no SPF when it comes to protecting your skin so let’s try our best to defend it on the daily. Mineral sunscreens: There are only two natural mineral sunscreen ingredients: titanium dioxide and zinc oxide (the generally preferred option). They both work by absorbing into the very surface layers of skin and deflecting or scattering the sun’s harmful rays. They essentially act like a mirror or barrier and is why mineral formula’s are often referred to as “physical” sunscreens. Always look for ‘non-nano’ formulas as those are safer for you, the kiddos and for the environment. Mineral formulas begin to work immediately on application, but must be absorbed to be most effective and to ensure they don’t wipe off on clothing, so give them a minute to settle in. May leave a white cast, especially on darker skin tones, but the best pure mineral sunscreens go on invisibly. Read reviews to see which ones are performing as promised in this department. May need more careful, liberal application to ensure you’re getting 100% coverage. Synthetic sunscreens: There are over 30 synthetic sunscreen ingredients, all of which absorb into the top layers of skin, where they work in two ways: by scattering and deflecting the sun’s harmful rays (similar to the mineral formulas), and by converting UV rays into heat (which we cannot feel) and “deactivating” them. Common synthetic sunscreen ingredients include oxybenzone, octinoxate, octisalate, and avobenzone. These are sometimes labeled “chemical sunscreens,” which is misleading since all skincare ingredients (even the organic and natural ones) are technically chemicals. Begin to work immediately on application and often absorb faster. Can contain ingredients that cause irritation, allergic reactions and hormonal disruption if absorbed. Many of the common synthetic ingredients pose a threat to ocean life so look for ‘reef safe’ and ‘plant protection’ badges if you’ll be in natural bodies of water. 1 | COOLA | Testing soon! | Certified: Farm to Face, Cruelty-Free, Plant Protection and Antioxidant Enriched with no parabens, paba and phthalates. Yay! Both mineral and synthetic formulas available in a variety of SPF levels, formats (hello continuous spray!) for body and face, along with a line of beauty products and sunless tanners. This brand is a great place to start if you’re interested in safer sunscreen options. 2 | SUNTEGRITY | Personally Tested* | An effective, non-toxic line of skin care products that have been awarded “Champion Status” by the EWG/Compact for Safe Cosmetics. The line includes tinted moisturizer, broad spectrum face sunscreen, broad spectrum sunscreen for body that’s ideal for sensitive skin and uses non-nano size zinc oxide. Their sunscreens apply beautifully without leaving you feeling greasy or chalky. Cruelty-free, vegan and reef friendly. *I really like the 5 in 1 Tinted Face Sunscreen. The texture is very smooth and blends into the skin well but it can be a bit heavy so I try to apply gradually. I love that it provides a considerable amount of coverage so you can skip your foundation or coverup if you just need to tone down redness or discolouration. I’ve ordered this one a couple of times. 3 | CONSONANT | Personally Tested | Consonant delivers optimal SPF 30 protection using uniquely micronized (non-nano particle so no worries) minerals to block UVA and UVB rays. The formula has light, hydrating benefits with aloe vera, grape seed and rice bran oil, and evens skin tone with a touch of natural mica tint (ie: no white residue). This option is fragrance free, containing no perfume or even essential oils which can play havoc with your skin, especially in the sun! Water resistant, but re-apply after swimming or doing water sports. *I also like this one, which has a lighter texture than #2 but I found it a bit harder to rub in and it’s a bit more drying. There is only one tint option, which is fine if you’re fair skinned but it may not be right for a wide range of complexions. People seem to adore this one but I haven’t been compelled to order again. 4 | COUNTER SUN | Testing soon! | Air-powered / Sprays at any angle / Reef-friendly / Water Resistant for 40 min | CounterSun is formulated with non-nano zinc oxide and its particle size is evaluated to ensure there is no potential risk of respiration when sprayed and does not enter the blood stream to cause harmful effects to the body. Beauty Counter never uses Octinoxate or Oxybenzone, ingredients known to contribute to hormonal disruption and the collapse of coral reefs around the world, making our sunscreens safer for both people and our oceans. 5 | DERMA E | Under $25 CAD | With clear, nanoparticle-free Zinc Oxide, this formula provides safe, chemical-free broad spectrum UVA/UVB protection without irritating skin or clogging pores. Fortified with antioxidants Vitamin C and Green Tea — nutrients that have been shown to offer an additional layer of UV protection, help skin recover after sun exposure and fight and reduce the signs of aging for vibrant, younger-looking skin. Hypoallergenic, non-irritating, sensitivity tested, fragrance-free, paraben-free, gluten-free, GMO-free and 100% vegan. 6 | COCCOON | Reflector | Personally Tested | Designed specifically for use on the face this non-greasy, gently tinted, non-whitening formula goes on easily and doubles as a light moisturizer. Made with non-nano zinc and titanium and packed with nourishing natural ingredients that help keep skin healthy and balanced. Gentle natural ingredients that won’t irritate skin. Reef/water safe, eco, biodegradable. *I’ve got this one in my rotation currently and I quite like it. I find it can be a bit tacky at first but soaks in well, especially if applied right after a moisturizer but I find it can be a bit chalky if your skin isn’t well hydrated to begin with. Not my favourite to date but definitely effective and hasn’t bothered my sensitive skin at all. 7 | SUPERGOOP | This clean crowd favourite has some incredible reviews! The line offers a broad range of products but the UNSEEN 40 SPF seems to be a top seller for its smooth application and make-up friendly formula. There are both mineral and synthetic options available in a variety of SPF levels and a wide range formats (creams, mousse, sticks, mists, powders and CC creams) for body and face. Cruelty-free but no claims to be reef-friendly. 8 | GODDESS GARDEN ORGANICS | This affordable option is 92% Organic – the highest certified organic content Sunscreen available on the market and offers SPF 30 broad-spectrum UVA/UVB coverage without the use of chemical sunscreens. Non-nano mineral, reef safe, cruelty free, vegan, water-resistant and dermatologist recommended. 9 | BABO BOTANICALS | Another affordable and family safe option worth a look. It’s made with moisturizing, soothing, organic shea butter, avocado and jojoba oils, plus pure flower and plant extracts designed to coddle sensitive skin—it’s both gluten- and soy-free—and pure, calming zinc oxide. The stick format is great on the go and also water and sweat resistant for up to 80 minutes! Also among this options many badges are Cruelty-free and Reef Friendly. It seems like every year there are new options in this tricky closet category, which is awesome! If there is one summer item I think is worth investing some of your precious time and budget into, it’s a great swimsuit. You’ll wear it for years to come and nothing eases the agony of baring some skin like a flattering fit. Personally, I’m loving high waisted bottoms and clever reinventions of the one-piece in particular but there are shapes and fits for every preference. Here are some great options to get you going on what is never the most enjoyable quest but can certainly be a rewarding one! Garmentory – Save $20 off your first order here. 6 | HER LINE | $125 – $290 CAD | The epitome of minimal swimwear at it’s finest. | Made responsibly in Australia. | Also available on Garmentory. Save $20 off your first order here. 9 | BETH RICHARDS | $100 – $260 USD | Love this trés sportif line right from our home and native land! | Made in Canada! 14 | MINNOW BATHERS | $86 – $186 CAD | Great shapes and fun print options. | Made in Canada! 15 | NETTLE’S TALE | $60 – $175 CAD | Super flattering fits and detailing. | Made in Canada! I really love me a big brim and some shoulder shade that goes wherever I do! My personal favourite hats are by Janessa Leoné and Brookes Boswell (shown above). They’re seriously stunning, made by talented milliners (in the US) and in my opinion, well worth the investment. Plus, they both make packable styles so you don’t need to stress about stuffing it into your weekender or under the seat in front of you. I’ve put together a selection of some great styles from both of those makers and a couple of other gems that I’ve come across. 1 | WILLOW | JANESSA LEONÉ | $310 | Made in the USA. 2 | OPTIMO PACKABLE | BROOKES BOSWELL | $187 USD | Packable. Made in the USA. 3 | REINETTE | BROOKES BOSWELL | $242 USD | Made in the USA. 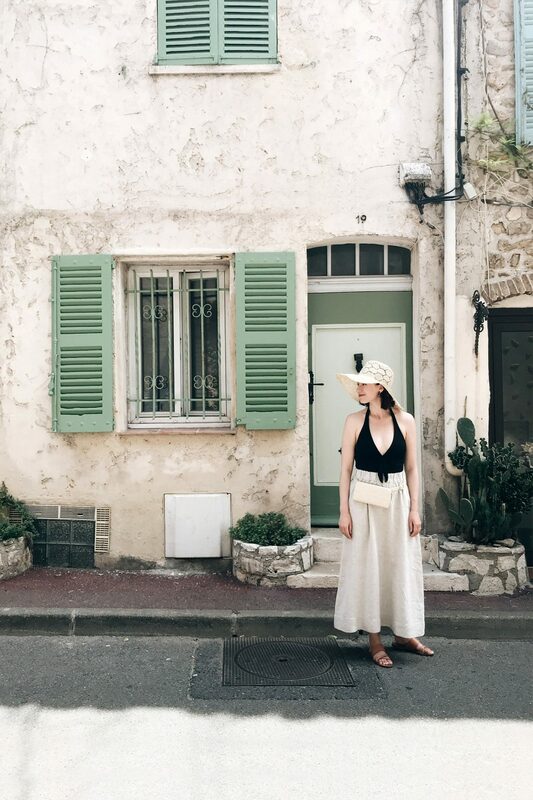 4 | OVERSIZED HAT | CUYANA | $115 | Handwoven in Ecuador. 5 | ALEZA | YOSUZI | $215 USD | Handwoven in Ecuador. 6 | SIMONE | JANESSA LEONÉ | $207 USD | Packable. Made in the USA. 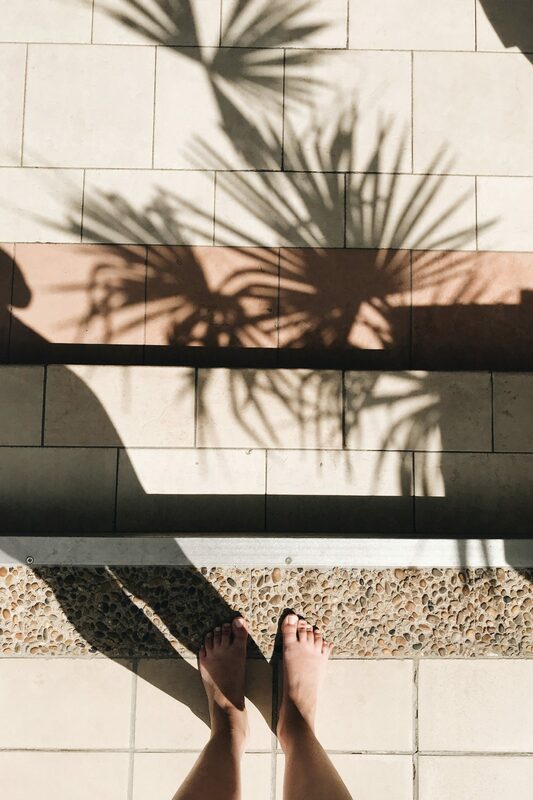 7 | PANAMA + SUMMER HAT | CUYANA | $85 | Handwoven in Ecuador. 8 | BASEBALL CAP | EVERLANE | $22 USD | Made responsibly in China. 9 | KLINT | JANESSA LEONÉ | $188 USD | Made in the USA. If you need a great hat but these prices are just not an option check out Brixton and Hat Attack. 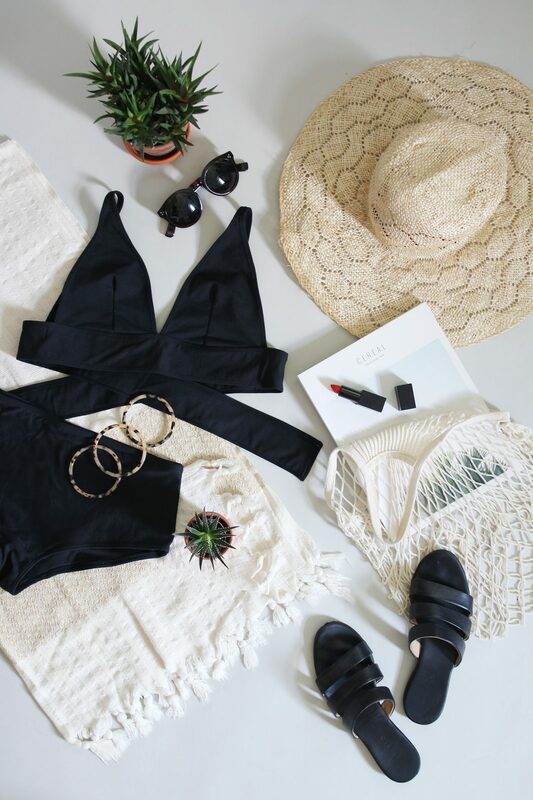 So you’ve got your safe sunscreen, a cute suit and a great hat, now all you need is a look to get you to and from the beach, dock, deck or wherever you’re sunning yourself. 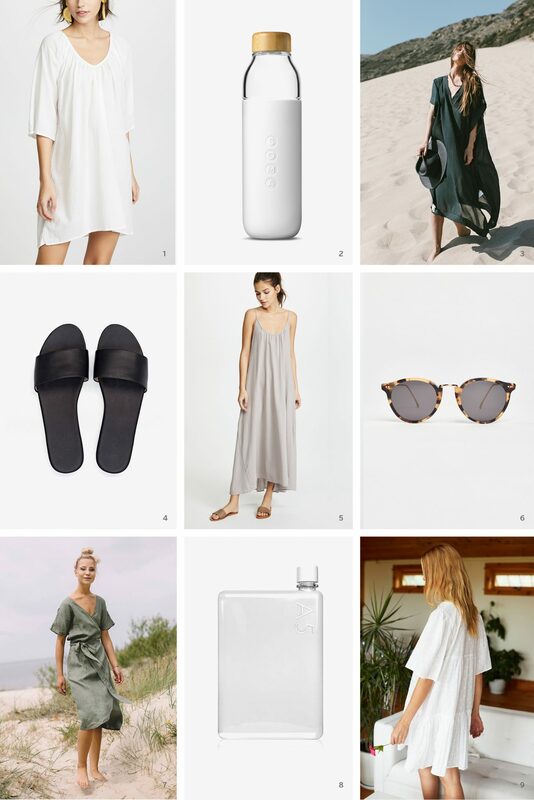 An easy cover-up to throw on, a chic water bottle, some simple slides and timeless sunnies are just about all you need other than a good book or podcast! Here are a few on my list. Ok folks! That about sums up my must-haves for the sunniest time of the year. Have you got any suggestions to add to the list? I’d love to hear what your favourite sunscreen or swimwear brands are. 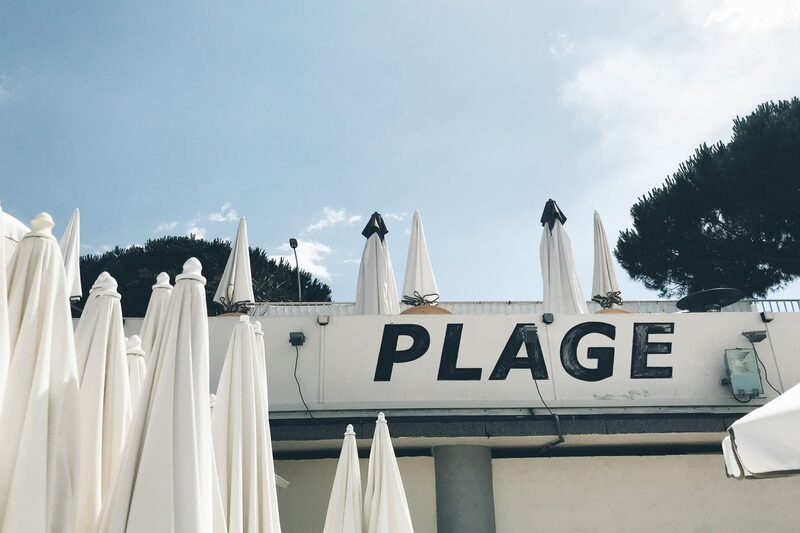 Are you heading off on any summer vacays soon? I hope so! 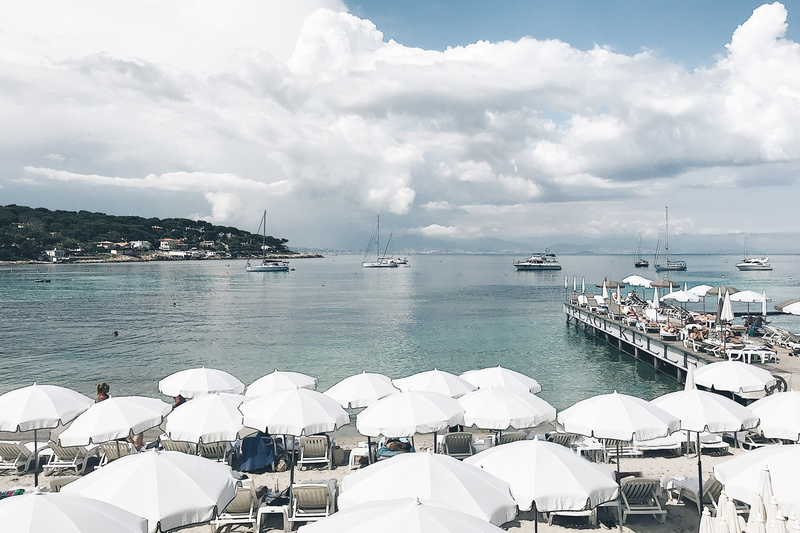 Have a wonderful weekend and I’ll catch you next week with my Antibes packing list, finally! I love Coola Sport (even on my face) for my dry skin because it’s a little bit moisturizing, and I always get compliments on the Mango scent. I also love Alba Botanica’s Green Tea formula, because it’s something I can grab at the grocery store in a pinch and it’s really affordable for something that checks all the boxes of being non-toxic, reef safe, rubs in well, etc. My husband loves Sun Bum mineral sunscreen (doesn’t clog pores), which we used recently in Hawaii. I loved it there, but find it drying in our much drier climate of LA. Thanks for this review! I have little ones so I’m always looking for good sunblock options! For myself, I’m obsessed with the Consonant sunscreen. I’m lucky enough to live down the street from one of their shops and I’ve recently converted over to all of their skincare. The sunscreen is one of my favs. The tint makes my skin even and glowy—it’s become a staple for a minimal-makeup summer routine. It’s definitely worth a try! I just ordered some swimwear from Mimi and August. Handmade I believe in Montreal, QC. They have some really sweet looking suits! Juice Beauty is another good option for sunscreen. And as for swimsuits summersault is well priced and made with recycled materials. I’m typically an oil, sweaty mess in the summer. While I wasn’t impressed at all with the coverage of their tinted sunscreens (so sheer it’s not worth it), I loooove Suntegrity’s face sunscreen/primer (http://www.suntegrityskincare.com/suntegrity-natural-moisturizing-face-sunscreen-primer-broad-spectrum-spf-30/). The packaging is supremely annoying, but it’s the only safe face sunscreen I’ve tried that doesn’t make my face feel even slicker when it’s hot out. Thanks for this guide, by the way! Def checking out some of this cute swimwear! LOVED this post! Responsibly made swimwear was next on my list to tackle so appreciate this. 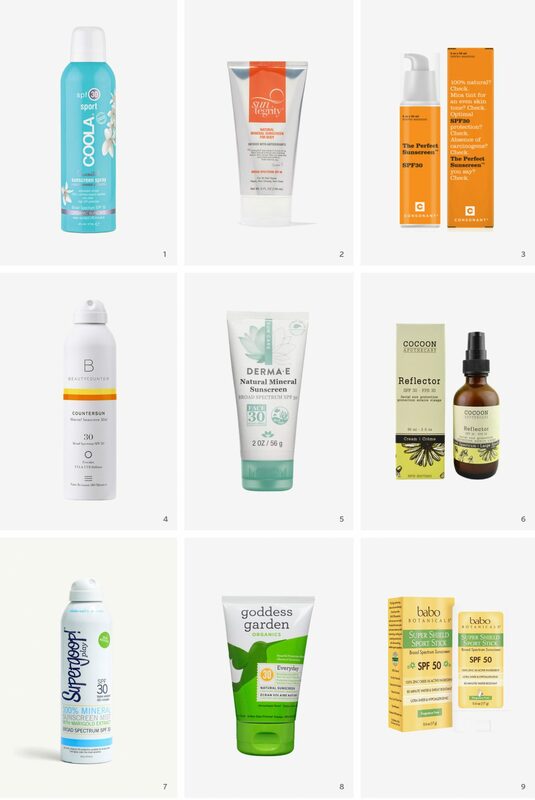 Skincare is my jam though so I’ve been through many of the cleaner suncare brands you mentioned with much of the same issues. A couple you might want to check out too include Marie Veronique’s Everday Coverage Tinted Sunscreen. It’s great but can be a little drying for me personally and isn’t the easiest to get in Canada but it’s a great option to try. Mychelle Dermaceuticals Sun Shield Liquid SPF50 has been my holy grail this year though and they have both tinted and non tinted versions. iHerb stocks it so it’s pretty easy to get ? Thanks for the sunny post! After having kids, I’ve discovered a bunch of kid-safe and natural skin products that I actually started using myself ?! Sunscreen is one of those brands! I love using ThinkBaby brand. It applies really easily but it’s definitely very white when first applied (it absorbs quickly). I highly recommend trying this one out! I use Paula’s Choice Skin Balancing Ultra-Sheer Daily Defense SPF 30 on my face and neck every day year round. In the summer, if I am going to be out in the sun for any period of time, I use Paula’s Choice Extra Care Non-greasy Sunscreen SPF 50 on any other exposed skin. My husband walks to work and he uses the SPF 50 every day, so I just signed up for auto-delivery.